Flying with Kids: 14 ways to keep kids entertained on a flight. We absolutely love travelling as a family. But as we all know flying with kids can be a bit daunting! We have travelled long haul now for three years on the trot, starting with New York, Naples Florida, followed by Disney World in 2016. Last year we spent 2 weeks in Jamaica to celebrate our 40th and 50th birthdays. This year we are spending 2 weeks in Mauritius. Travelling for us is so important, we live in a small village in Leicestershire (the middle of the UK) and I didn’t want our son to think there is nothing else in the World. Su from Ethan & Evelyn believes that travelling makes you awesome, and I have to say I completely agree. We have travelled around the UK of course, our favourite is actually London as we have such a passion for the theatre. My mum has a house in Brittany, France so we spend a lot of time there too, and have visited Spain. But nothing is quite like travelling out of Europe visiting places we have never been to before. 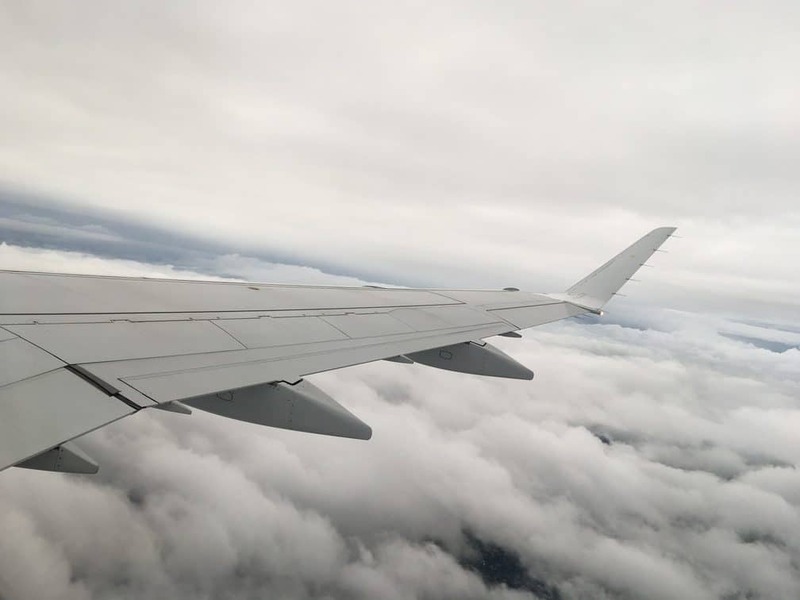 Flying with kids can be fun, carry on reading for some great tips. 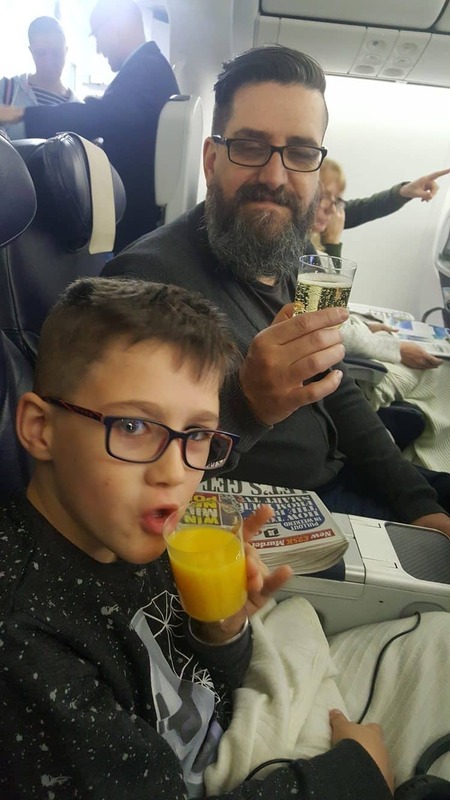 Flying with kids can be stressful no matter their age, but as long as you are PREPARED and not stressed your child will be fine. In fact they will love it. An extra tip would be to chose your seats as early as you can. You can often chose your seats from about 90 days in advance for long haul flights. So DO IT. We travelled to Spain last year and Freddie wasn’t sitting next to us. It was very stressful for me, but no body cared or offered to switch seats. Luckily Freddie (then 7 years old) is a confident flyer now, but make sure you do this as soon as you can. Being prepared is the best way to help children when flying. 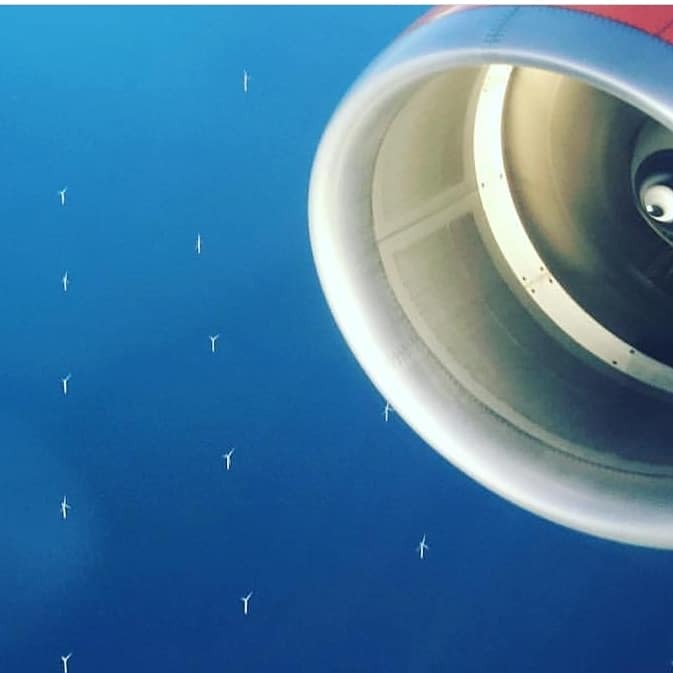 If they have never flown before sit them down and tell them what will happen. Talk to them about the queuing for check in, the security checks and then waiting for boarding. If they have never been to an airport before this can be quite scary, with lots of waiting around. If you can get them excited about going to the airport this will be half of the battle. Zena from Zenas Suitcase has a great tip which is to make the transition at the airport as easy as possible. Before you go on your amazing holiday, make sure the kids know what to expect. Tell them what will happen when they get on the plane. I always show Freddie the seating plan before we go, so he knows where the toilets are and where we are sitting. Tell them how long the flight is. If your kids are too young to understand tell them in terms of how many films they could watch. Kids love being involved, so let them help with their packing. Let them chose the clothes they want to take, and what toys they will want. We are flying in 54 days and Freddie has already asked me when he can start packing his bags!! Now he does have an amazing Star Wars suitcase which certainly helps! Before you fly check to see what films are going to be played. This will be really useful to know so you don’t clog your own Ipad/kindle up with films that you don’t need. Take their own earphones just in case. Take a games console. This year we will be taking the Nintendo Switch, but in previous years we have taken the Ipad with lots of games on. Make sure you take plenty of snacks and drinks that they love. 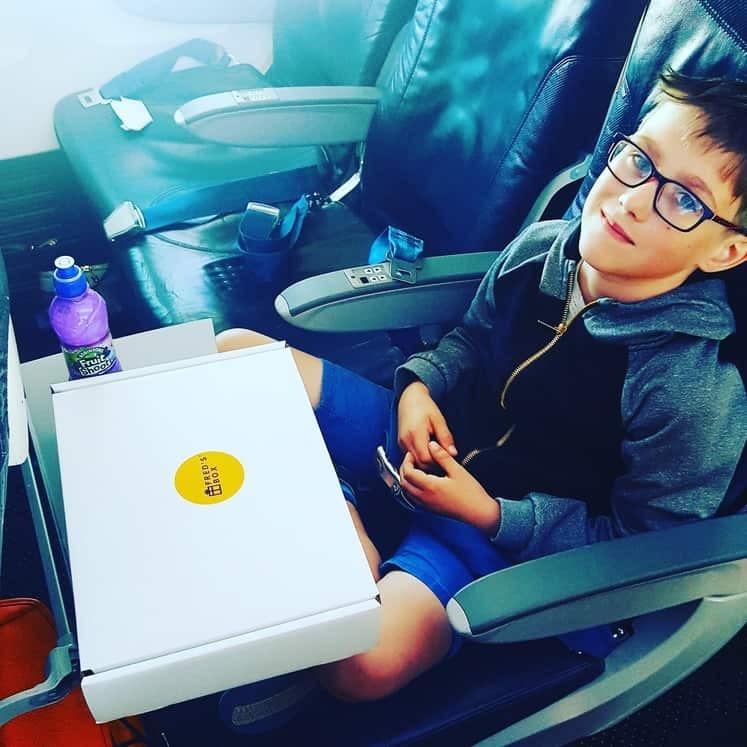 Airline food isn’t to everyone’s liking (I love it, but Freddie is not overly keen) so we always take fruit, packets of raisins, orange juice to keep hydrated, his favourite sweets, biscuits and a sandwich that I know he will like. Chocolate in my opinion is a no no, as it melts and it just gets really messy. Take a spare change of clothes and a blanket. As we are travelling from the UK to much warmer climates we travel in our normal clothes and pack a pair of shorts for when we land. This is a great tip as you don’t want to be arriving in your thermals!! If you have space, take a blanket or a pillow. Flights are not always the most comfortable places when you are trying to sleep. I recommend the 2 in 1 travel pillow that can either be used as a normal pillow, or a horseshoe shape sleeper. A favourite reading book. He loves reading so I will ask him to chose a book that he wants to take. One for the flight and one in the suitcase for the holiday. Look out the window and see what you can see. When we are on holiday, especially a long haul holiday we always create a scrapbook. This includes things like the boarding pass and anything else we can get from the flight (we have been given a pilots flight badge before) so take a notepad and get them to start doing this. Buy a one off kids subscription box. Kaiden only just discovered that Netflix episodes can be downloaded and watched back without internet; perfect for travelling! So we’ve started using this with our son and it works wonders. Pop some headphones on and he’s well away for ages! Carrie One of my biggest tips is don’t board early – but instead be one of the last. Make use of the airport soft play – no point in having them waiting for everyone else to board. Luschka Honestly, my 8 year old thinks the fact she can switch the in-flight telly on and watch whatever she wants whenever she wants for 19 hours without screen limitations is practically Christmas. 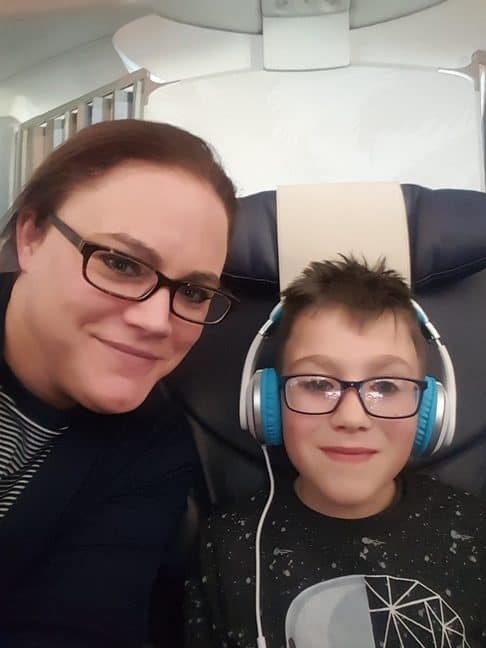 Catherine from Passports and Adventures also has written a post about Helpful Tips for Your First Holiday Abroad With Kids which is a great read. Navigating a Baby has also written a great post on flying with kids, which should be read for some more tips. Do you have any useful tips on flying with kids that have not been covered? If so let me know in the comments below. 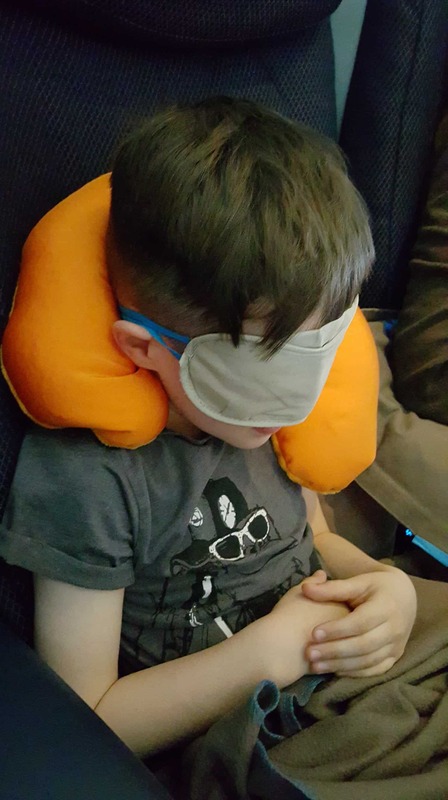 14 tips to keep kids entertained on a long haul flight Flying with kids can be fun! 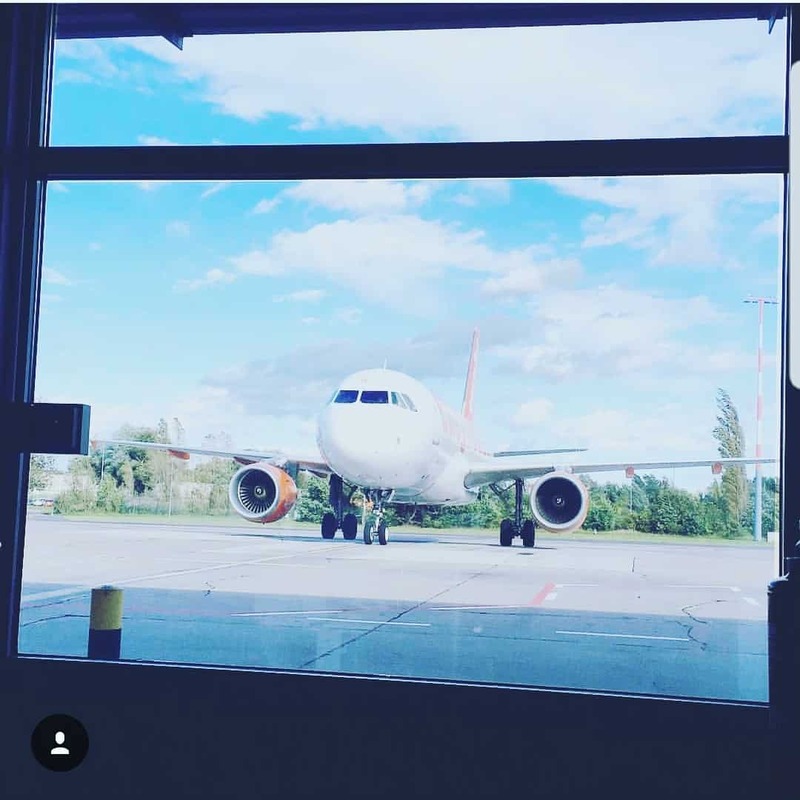 Your Flying With Kids blog, was so informative, and I will definitely use some of the tips you mentioned.